A visual, easy to understand representation of your risk tolerance grade. Details of your portfolios' asset allocation & the funds you'll be investing in. Probability and likely investment returns outcome report. Access tax efficient investment products, quickly easily and simply, online. 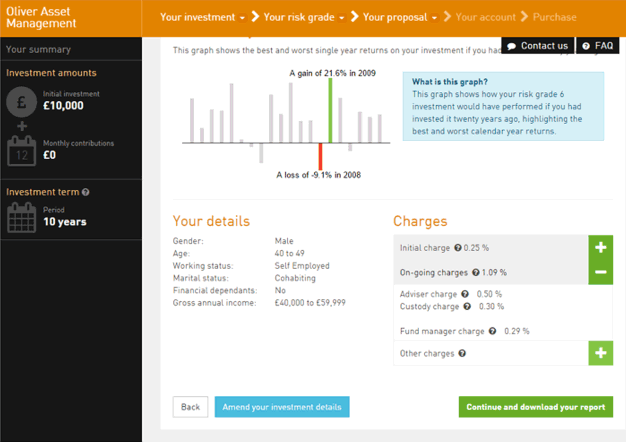 A complete guided service to help you find the right investment portfolio for you. Minimum regular payments from £100pm and one-off payments from £1000. The simple online risk profile and a straightforward suitability questionnaire establishes the most likely investment portfolio for you. 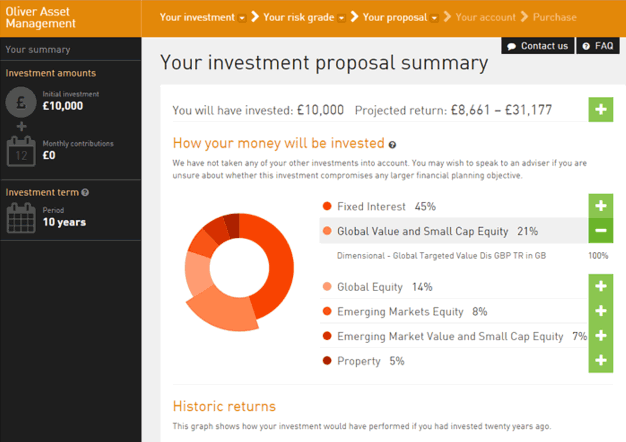 Once completed, details of the asset allocation and individual funds will be included in your personalised investment report, along with all costs involved. We will also provide a suitability report and secure access details, providing online access to your account 24/7. Our online risk and loss capacity questionnaires have been scientifically designed by Parmenion and Edgecumbe Consulting. We measure your financial risk tolerance (how risk averse or risk seeking you are), and risk capacity (how much you are likely to be willing to put at risk). 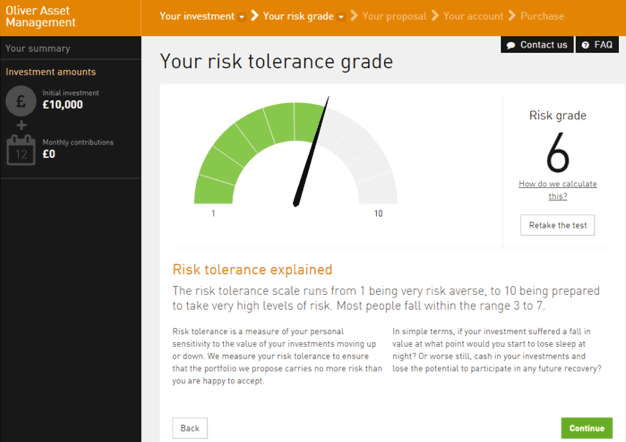 The tool generates a report which shows scores for risk tolerance and risk capacity, and an overall recommendation for the risk grade; this in turn helps to guide you to the most appropriate investment portfolio.